Join Social Media Michigan for their monthly meeting this Thursday, February 19th at the Troy Community Center in Troy, Michigan. Meeting will be from 6:00 pm to 9:00 pm. The February meeting will cover the topic: Are You LinkedIn? 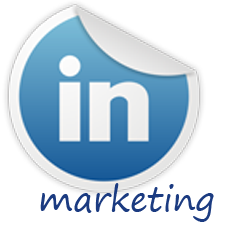 LinkedIn is a Business oriented social networking site founded in Dec 2002 and launched in May 2003 mainly used for professional networking. As of Feb 2009, it has more than 35 millions registered users, spanning over 170 industries. LinkedIn allows you to connect with and discover connections. It is primarily a business to business network where the average income of its user is $130K. These connections are Serious about Business. So don’t miss this Thursday’s Meeting for Social Media Michigan. First meeting is free so come and check us out. Social Media Michigan is an organization for entrepreneurs to discover and implement social media marketing strategies to enhance their bottom line. Social Media Michigan Meets on the 3rd Thursdays of each month at the Troy Community Center.